"High wind" may sound like a vague description of a phenomenon, but there's actually a very specific type of wind that can result in dangerous driving conditions. A high wind is defined as a sustain wind of 40 mph or greater, or a sudden gust of wind of at least 58 mph. At these speeds, high winds can push a person over or send debris flying at high velocity. It can also make driving any sort of vehicle a challenge. The legal team at our San Diego law firm would like to consider some of the potential dangers caused by these kinds of conditions. 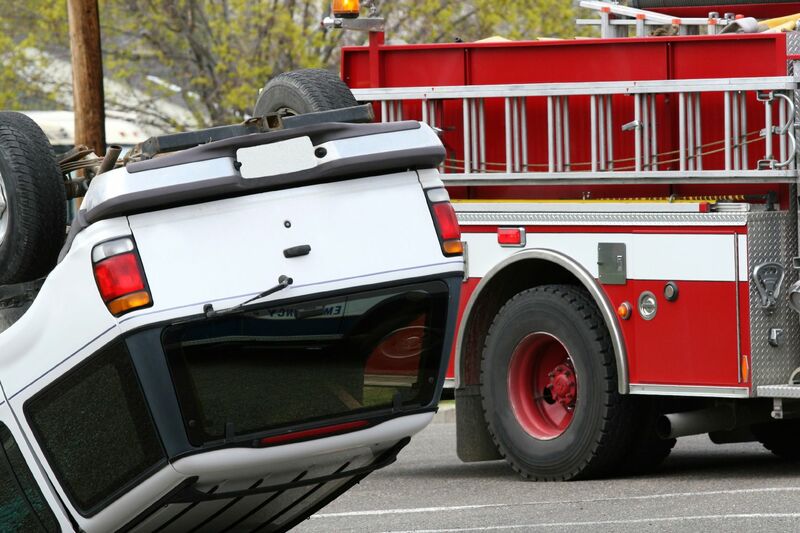 We'll also offer some tips on how to prevent these kinds of auto accidents from occurring. While driving in high winds, it's possible for a motorist to lose complete control of a vehicle. This could meant he vehicle skidding or sliding while making a turn, or simply problems keeping the steering wheel steady because of the force of the wind exerted on the vehicle. If someone is driving a top-heavy vehicle, there is a risk of the vehicle tipping over on its side, or perhaps a full rollover accident. These kinds of hazards are especially serious when there are large trucks and other massive commercial vehicles on the road. High winds don't just affect vehicle. Objects along the roadside may be picked up and hurled at high speeds by these strong winds. This can startle drivers and cause them to swerve or lose control. In addition, an object thrown by a high wind might strike a vehicle window, a door, or side mirror, causing damage and perhaps impacting vehicle performance in the process. Obviously driving in a high wind is made all the more challenging if there are other dangerous weather or road conditions present at the time. If it's been raining at all, the high winds could affect tire traction and overall vehicle control, which can make taking turns or sudden movements of the steering wheel deadly. Debris may wind up on the road, which can lead to motorists swerving to get out of the way or making poor on-the-fly decisions. Check Weather Reports Before Driving – Whenever possible, it's best to check the weather before going on any sort of drive. If weather conditions or road conditions will be poor, it may be better to avoid driving for the sake of your own safety. Slow Down to Stay Steady – Driving at a slower speed is a good way to maintain vehicle control in even the most severe weather conditions. While in high winds, try to drive slower than usual just to be on the safe side. Give Other Vehicles Ample Room – Since driving in high winds can be challenging, try to give other motorists extra room while on the road. This means giving extra space for vehicles in front of you, and it also means not driving next to large trucks or other top heavy vehicles. Remain Aware of the Road and Debris – While you are driving, be sure to be aware of the road and anything on the roadside. Downed power lines, fallen branches and limbs, and other hazards may be present near or on the road. Remain alert. For more information about your legal options following an auto accident, we encourage you to contact an experienced injury and accident attorney. The team at the Olsen Law Offices is here to help you in your time of legal need.